When literary estates are over-zealous. 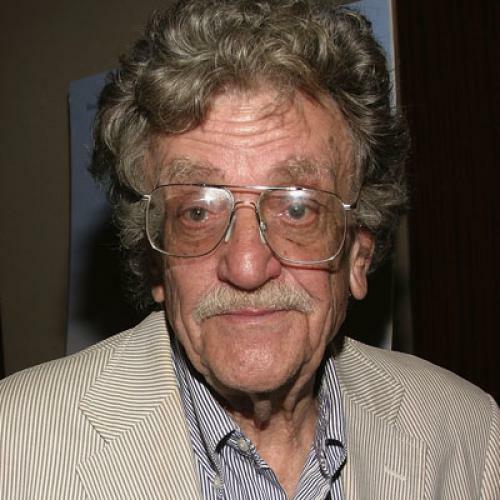 On January 30, 2000, Kurt Vonnegut was sitting in the study of his Manhattan brownstone, watching the Super Bowl. During the first quarter, he put out his cigarette and went downstairs to get some food. Somehow, his trash can caught on fire. Vonnegut, who was then 77, rushed upstairs and tried to beat the flames out with a blanket, but he couldn’t save the study. He spent four days in the hospital for smoke inhalation. Even worse, the literary papers in his study, including copies of letters he’d sent and received during his earliest years as a writer, were destroyed. Vonnegut quickly warmed to Shields. Late at night, he would call and say: “This is Kurt Vonnegut. How’s my biography coming?” In December 2006, Shields interviewed Vonnegut in person and got a list of names. One of them, Knox Burger, gave Shields around 200 letters that Vonnegut had thought were lost forever. Shields visited Vonnegut a second time in March 2007. After their interview, Vonnegut went to walk his dog—then tripped on the leash, fell down his stairs, and slipped into a coma. Jill Krementz, Vonnegut’s second wife, called Shields from the hospital and asked him to search their house for Kurt’s Social Security card. Vonnegut died on April 11, without ever waking up. SPEND SOME TIME in the literary world and you’ll hear plenty of crazy estate stories. (As a Ph.D. student, I once had someone from H.L. Mencken’s estate accuse me of stealing Yale letterhead in order to impersonate a Yale grad student and ... well, I never figured out what my next nefarious step was supposed to be.) But estates can create serious problems for biographers—and, by extension, readers. When Shields’s 528-page And So It Goes: Kurt Vonnegut: A Life comes out this fall, it will include his bland summaries of Vonnegut’s words, not quotes from the letters themselves. In many ways, Shields can blame his predicament on J.D. Salinger. In the 1980s, Ian Hamilton wrote a biography of the reclusive author. But, before it was published, Salinger got hold of a review copy and was shocked to see quotes from some letters Hamilton had uncovered in various libraries. So Salinger copyrighted the letters, then sued successfully. Yet Vonnegut was no Salinger. Jerome Klinkowitz, a Vonnegut scholar at the University of Northern Iowa, describes the author of Slaughterhouse-Five as “warm and generous.” In fact, 15 years ago, Vonnegut sent Klinkowitz a letter granting him “unrestricted permission to quote anything I ever said or wrote, at any length, and without notice or compensation.” Loree Rackstraw—who had an affair with Vonnegut in the 1960s, and, at the time of his death, was finishing a memoir that drew heavily on their decades-long correspondence—owns a similar letter. But, while Vonnegut seemed happy to have writers quoting from his work, the two people who ran his estate—Donald Farber, a lawyer and one of Vonnegut’s closest friends, and Mark Vonnegut, the author’s oldest child—took a different approach. After Kurt Vonnegut died, Rackstraw got a call from Farber telling her anything Vonnegut had written was off-limits. She believes that only her letter saved the book from being quashed. Shields didn’t get a similar letter before Vonnegut’s death—something he now calls “a critical mistake.” In his book, he still relies on Vonnegut’s letters for their facts. Without the ability to quote from them, though, Shields struggles to capture his subject’s voice. Because Shields can only quote letters to Vonnegut, the people in his life often emerge more vividly than the biography’s subject. At one point, Shields describes a night in 1971, when Vonnegut and his first wife, Jane Cox, tried a romantic evening at the Royalton, the New York hotel where Billy Pilgrim stays in Slaughterhouse-Five. The evening ended badly, with Jane alone in the room, penning a long letter to Kurt. “Of course you need relief from responsibilities and obligations,” she wrote on hotel stationery. “And of course that’s what girls like Jill are for, in the lives of men like you.” It’s a painful moment—to which Vonnegut, in this book, can have no answer. Craig Fehrman is a Ph.D. student in Yale’s English department and a freelance writer. This article originally ran in the November 3, 2011, issue of the magazine.